At that point in the last century, the Italians were starting to move out of the nabe, and the Puerto Rican community on Columbia was well established. I didn't realize they had Army uniforms for little kids! I've been enjoying the peek into the neighborhood's past. This photo has to be a bit later than 1955, though. The clothing looks more mid 60s and the flags are the current 50 star (after 1959). Maybe 1965? This was during the 1960's, maybe 1966-68. I was at this parade wearing my girl scout uniform. 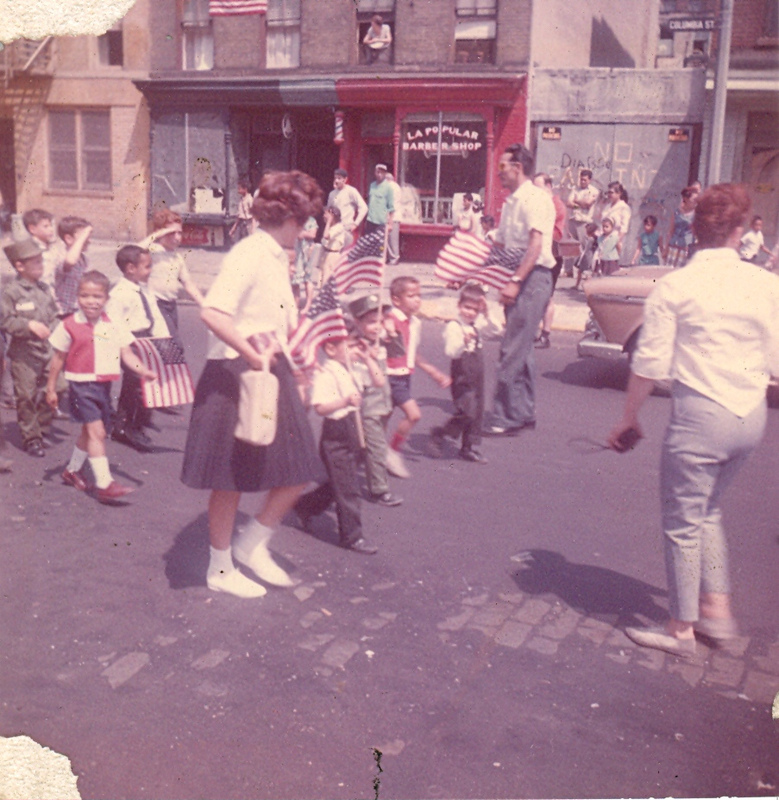 The army uniforms were part of the military cadets that my dad and some local community leaders ran out of a storefront. Puerto Ricans are a mixed race group of people.